Somebody had a 30% off Borders coupon. Somebody also had $15 in Borders Bucks. Somebody bought the first season of True Blood for nearly $30 off the original price. When the kids fall asleep, somebody will be curled up in bed watching vampires on the flat screen. Somebody may be tired at work tomorrow. Somebody doesn't care. I can't wait to see this. I don't have HBO but I am such a fan of the books!!! I have not read the books, but I am getting ready to watch on HBO OnDemand! Lucky you! I've had this on DVD from Netflix for over a week, but haven't had time to get past the second episode. I hope to spend ALL day Saturday engrossed...fingers crossed! 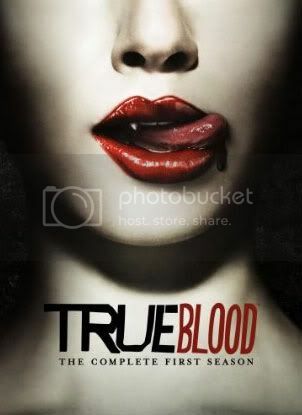 LOVEEEEEEEEEEEEE this show! I needs to read tha books!